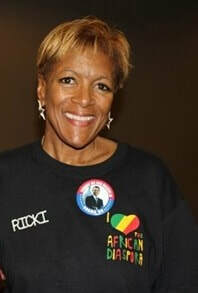 Ricki Stevenson, founder of Black Paris Tours, has served as its creative thinker and CEO since its inception in 1998. Stevenson, a native of Oakland, California, is a former TV news anchor/reporter and talk show host, who holds a master's degree in History, with an emphasis on African and African American studies. She started dreaming of life in Paris at three years old, when her mother, a former dancer, took her to see Josephine Baker perform in Los Angeles and later, at ten years old when her Mom took her to hear James Baldwin speak at Stanford Uni. She says the idea for Black Paris Tours grew out of six years experience traveling the world as a television travel reporter....always looking for the perfect Black history tour. Nawo Carole Crawford always wanted to serve the African Diaspora. Born into a military family in Pittsburgh, her parents relocated to Paris when she was 18 years old. At University she met students from the African continent, the US and the Caribbean and she desired to become a Pan African activist. Following graduation, Nawo worked as a social worker in the French prison system, an eye opening experience that, while different from the US prison system, saw too many young people of color criminalized and rejected by society. 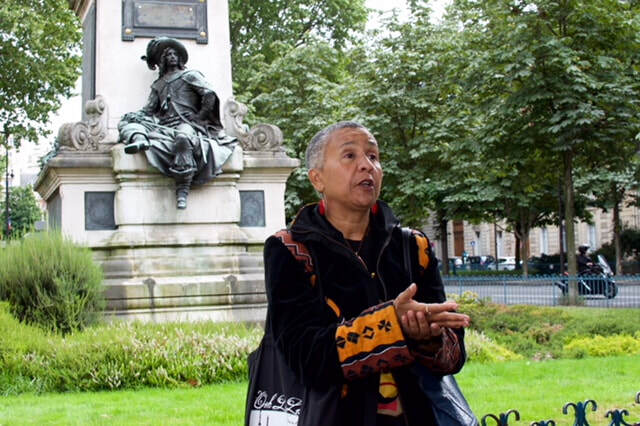 After leaving the French criminal justice system, Nawo decided to join the Black Paris Tours team as a scholar-guide to share and promote the powerful, positive history of African, Caribbean and African American greats who have become our heroes and sheros. After almost ten years as a senior member of the Black Paris Tours team, Nawo is grateful for opportunities that strengthen her belief that WE ARE ONE PEOPLE. 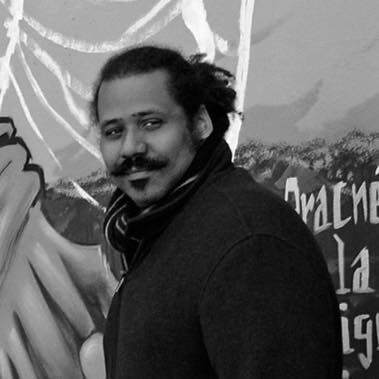 Miguel Overton Guerra is an expat American who lives in Paris but calls the world his home. He was born in Madrid, Spain to African American father from East St. Louis and a Spanish mother. His father was an electrical engineer who worked for companies such as ITT and for Canada’s National Research Council. After living in Canada, New York City and Spain for more than ten years, Miguel still considers himself a Brooklynite. He’s an avid lover of history, a passion he gets to share as a senior scholar-guide with Black Paris Tours. When he’s not working as a tour guide he’s hunched over his desk illustrating and creating futuristic, action comics, or spending time with his wife and two children. 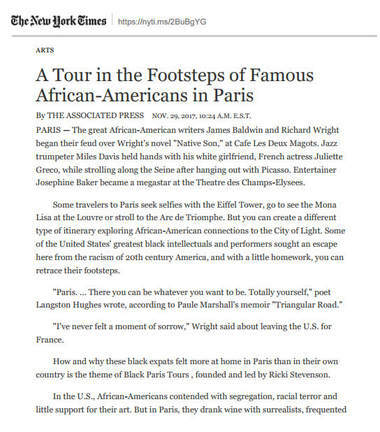 Black Paris Tours was the focus of a December 2017 Associated Press article that was published in the NYTimes, LATimes, Chicago Tribune, and hundreds of other major daily newspapers in the US. Earlier in the year, Black Paris Tours received the “2017 Outstanding Tour Award” from the African Diaspora World Tourism Board, received Trip Advisor’s 2017 “Award for Excellence" (the fifth year in a row) and was featured in the May 2015 vacation issue of Essence Magazine. Questlove of the famed musical group "The Roots" posted video to his 2 millions followers praising Black Paris Tours after taking the tour in July, 2016! Black Paris Tours also earned the Steve Harvey and Roland Martin "stamp of approval" after separate television/radio interviews with them in 2013. Black Paris Tours is now ranked among the top “Must See” things to do and experience in Paris.Newspaper articles about Black Paris Tours have appeared in the Wall Street Journal, New York Times, LA Times, Oakland Tribune, Washington Post, St Louis Post-Dispatch and others, as well as in Ebony, Jet, AMINA, Time Out London, WHERE, Emerge, Stanford, CNN Travel and American Express’ Travel and Leisure magazines. Black Paris Tours is profiled in Fodor’s, Rick Steve’s, Lonely Planet, Frommer’s, Access and a number of other guidebooks and blogs dedicated to exploring Paris...including the French Government’s Tourism Guide.